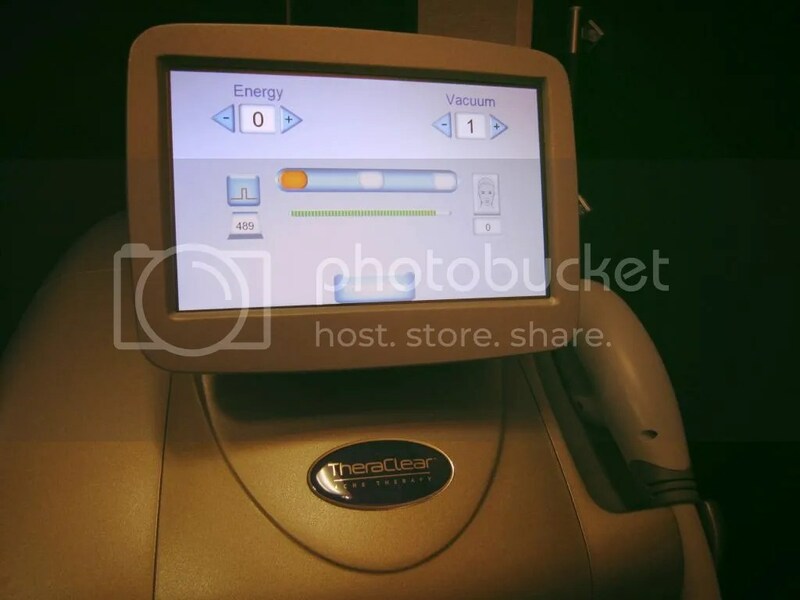 Hello everyone, i’m back with the updates on the 3th and 4th Session of the Theraclear Acne Therapy treatment! If you have not read about my 1st and 2nd session, i’ll suggest that you do it now by clicking on this LINK to understand more about Theraclear Acne Therapy treatment.. In the nutshell, TheraClear is Innomed’s (distributor for American & European medical equipment for beauty & aesthetics industry) latest breakthrough Acne Therapy innovation which combines the Dual Power of Vacuum and Light Treatment to treat multiple causes of acne in one single treatment. It provide instant results in reducing acne bacteria, hyperactive sebaceous glands and blocked pores. 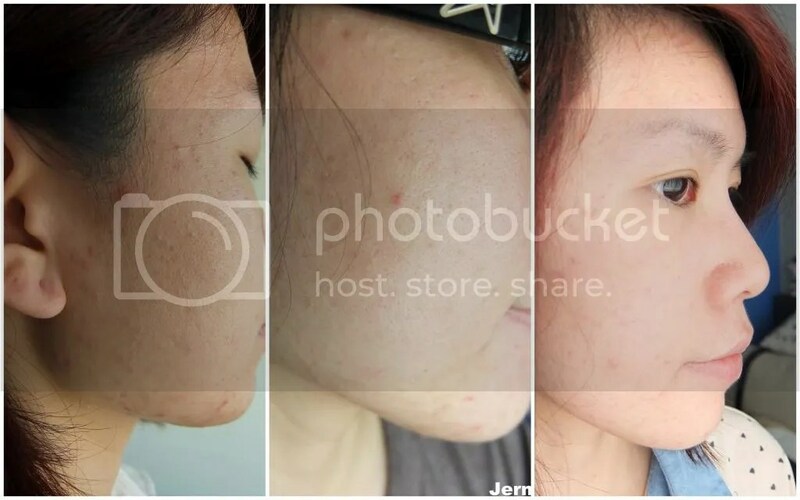 With the recommended sessions (4-5 sessions for most), the treatment will reduce redness in surrounding lesion, drying + flattening of lesions, reduction in skin oiliness and visible reduction in pore size. With Immediate Results (FDA cleared for most types of mild to severe acne), Theraclear Acne Therapy is safe for all, gentle and it will be good for those with persistent stubborn acne conditions. After the treatment, you will expect to see visible improvement within 24 – 48 hours post treatment.. Treatment will only take about 10 minutes and is painless! The treatment has to be administered by a doctor and mine was done at Rafflesian Clinic & Surgery by Dr. Janice Khoo. Compared to other forms of medication and treatments, Theraclear Acne Therapy is able to improve skin condition without any side effects. 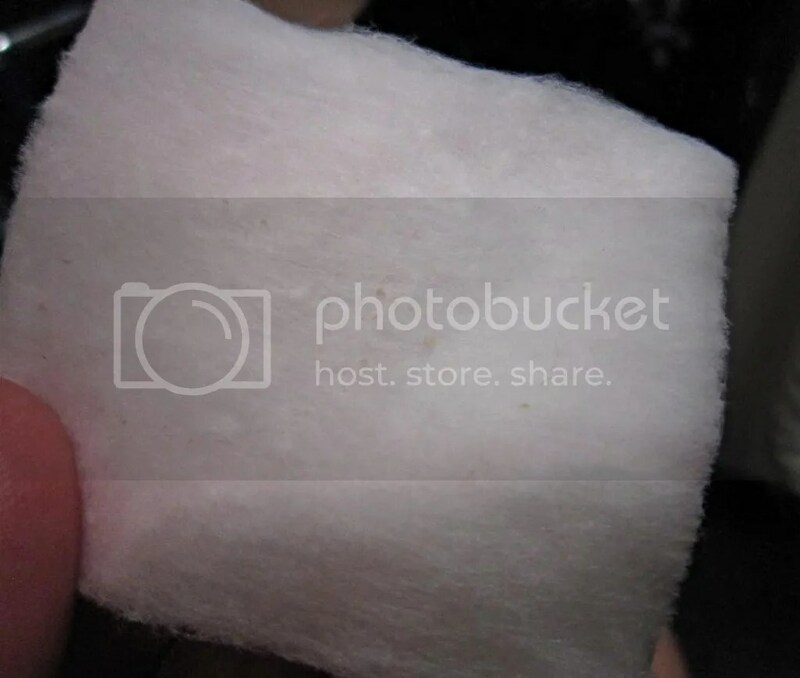 It will be highly recommended for people who wants/are faster & immediate response, Antibiotic resistant patients, Non-respondents to other therapies, Effective yet painless treatment process, to avoid systemic treatments for acne such as oral antibiotics and Women with hormonal induced acne who choose to avoid the systemic treatments. 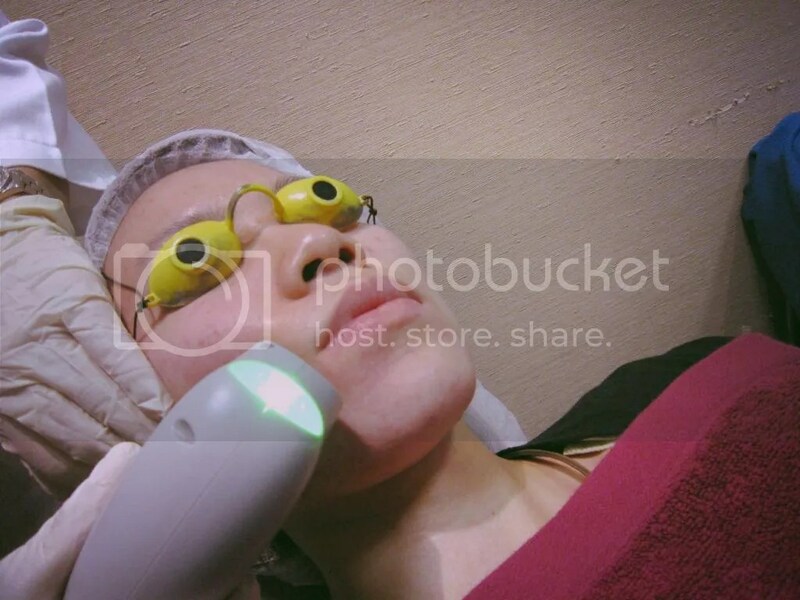 During the treatment, the Theraclear machine will deep cleanses the pore by extracting the buildup of sebaceous material (Vacuum) and use Broadband Light to activates porphryns to destroy P. acnes and reduces sebum production. The Theraclear hand piece will be first placed on skin and skin will be drawn into treatment tip. 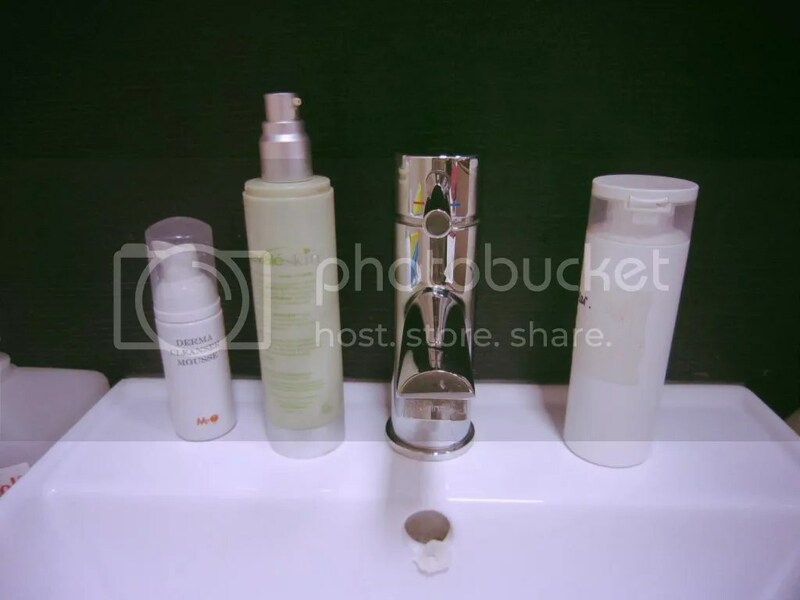 ‘Cleansing’ will begin and acne causing impurities will be extracted. 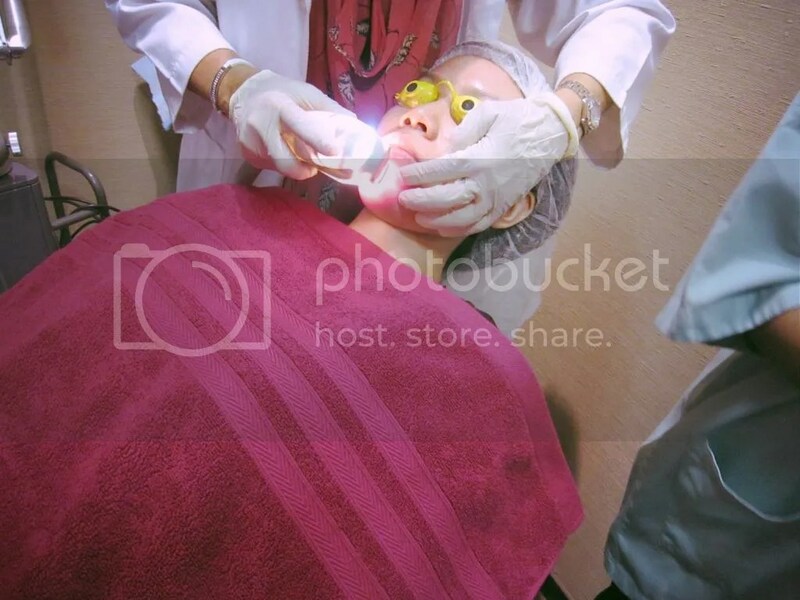 Next, concentrated light will treat the skin and destroys acne causing bacteria. The lights will also calm inflammation and reduce acne causing oil production. Over at the Rafflesian Clinic & Surgery, there’s a treatment room specially allocated for facial treatment (like Theraclear and Laser). The environment is clean, hygienic and comfortable which will put you more at ease. 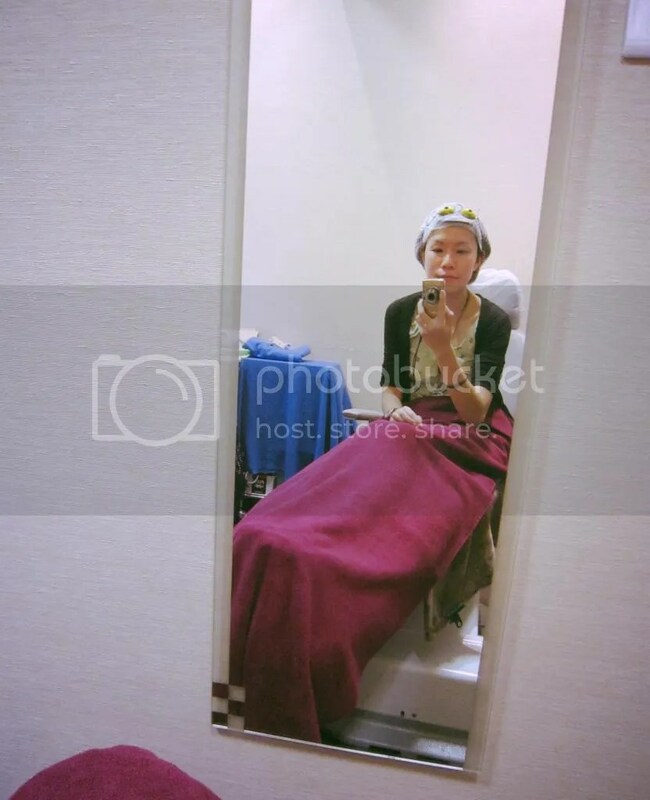 After cleansing my skin, the nurse prep me and made sure that i’m feeling comfortable. Before the Theraclear Acne Therapy, warm compression has to be done and i understand that this process will soften the skin and ‘dislodge’ the dirt, excess sebum and impurities stuck in the pores. 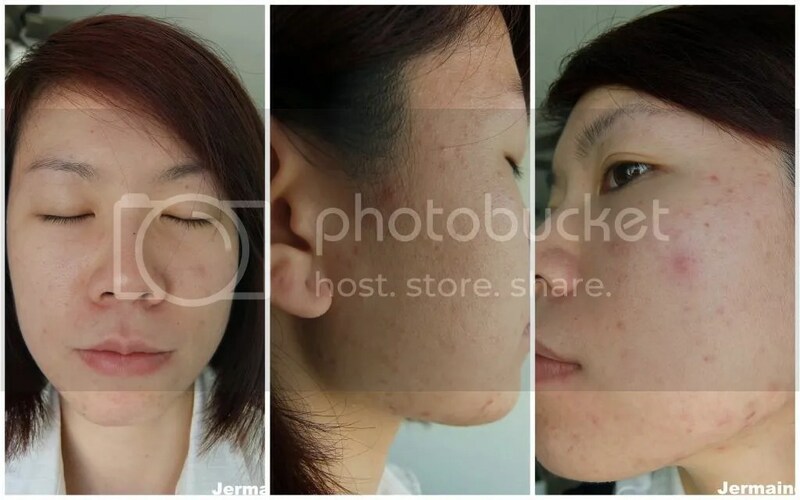 This will better aid in the Theraclear Acne Therapy process (Vacuum Extraction and Broadband Light treatment) and allow better penetration deep in the pores to clean them thoroughly. After two sessions of Theraclear Acne Therapy, my skin is less oily and there’s lesser clogged pores and breakouts. 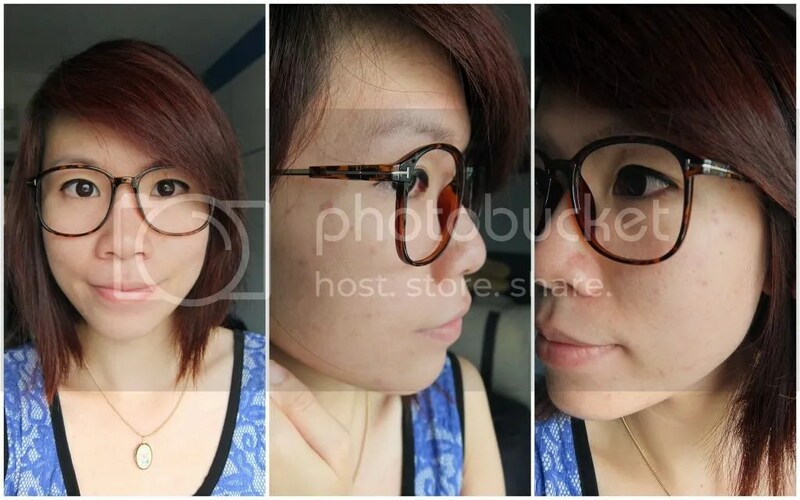 Overall, skin looks clearer and smoother (i can now see skin instead of imperfections all over!).. During the 3th and 4th session, lesser shots were administered due to the decrease in the amount of clogged pores / pimples. During the treatment, Dr Janice will first position the hand piece so that it will make full contact with treatment area. Once the hand piece is in position, there will be a suction force and the cleansing process will start. 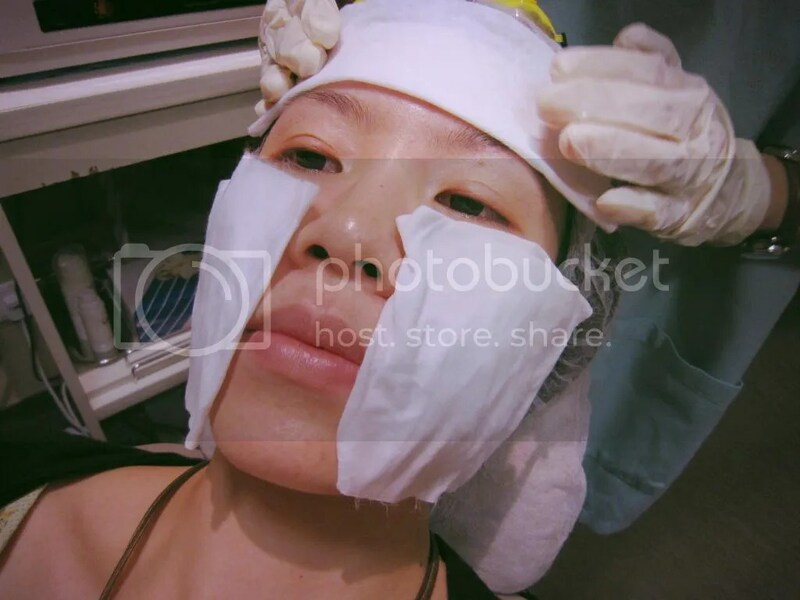 There will be a vacuum-like suction force and this action will allow deep cleansing of pores and extraction of sebaceous material (Sebum, dead skin cells and bacteria will be extracted from deep within the pores). Once done, treating commences whereby Broadband light will be emitted from the hand piece and along with targeting heating of the dermis, light activates porphryns to destroy P. acnes, acne causing bacteria and reduces sebum production. Once the machine gave off a ‘beep’ sound, Dr Janice moved on to another area and the same procedure follows. Total procedure will take about 10-15 mins. After 3rd and 4th session of Theraclear Acne Therapy, i could SEE for myself on the decrease in the amount of imperfections! 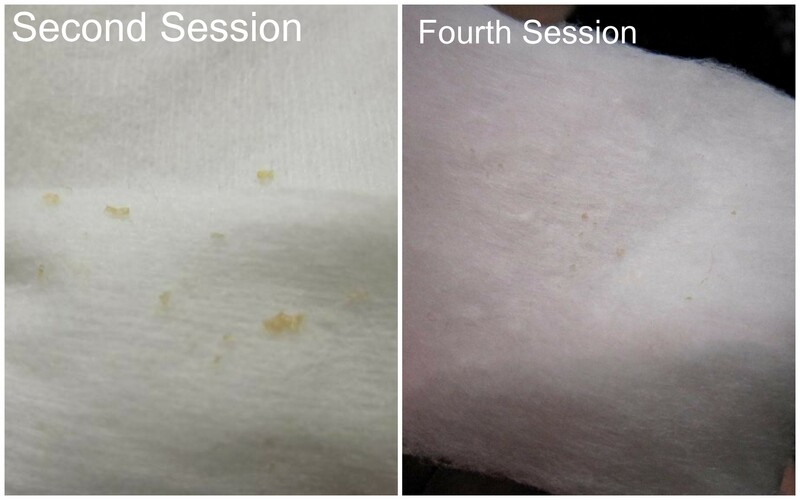 As cleansing would take place after Theraclear treatment using the sonic tool, the amount of JUNK ( oil / excessive sebum / Dead-skin) removed has reduced significantly! Vast improvement when compared to what i have experienced after the 1st & 2nd treatment! 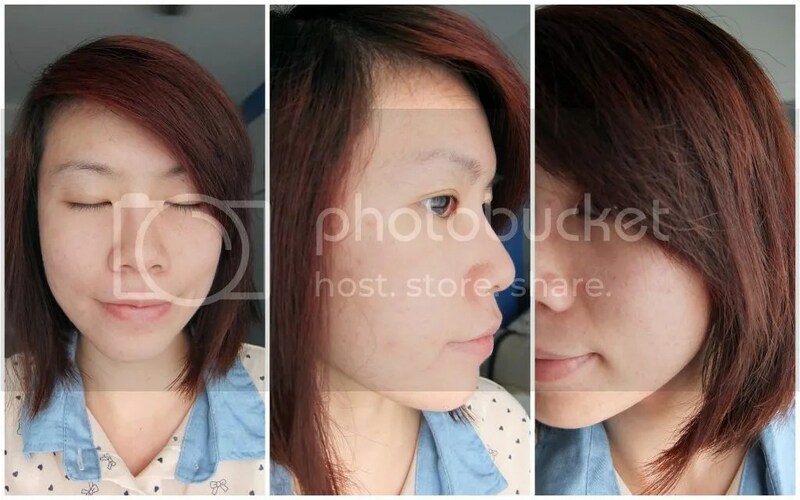 Ever since the TCM medication, i have been having breakouts on my cheek and jawline areas (Huge acne also appeared on the area underneath my jawline near to the throat area).. 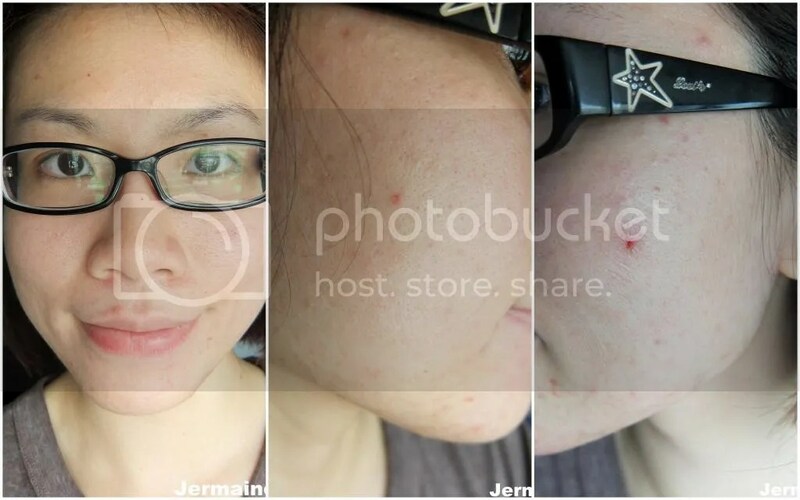 Previously, Theraclear was done on my face but not underneath the jawline so i was still having painful and huge breakouts on that particular area. 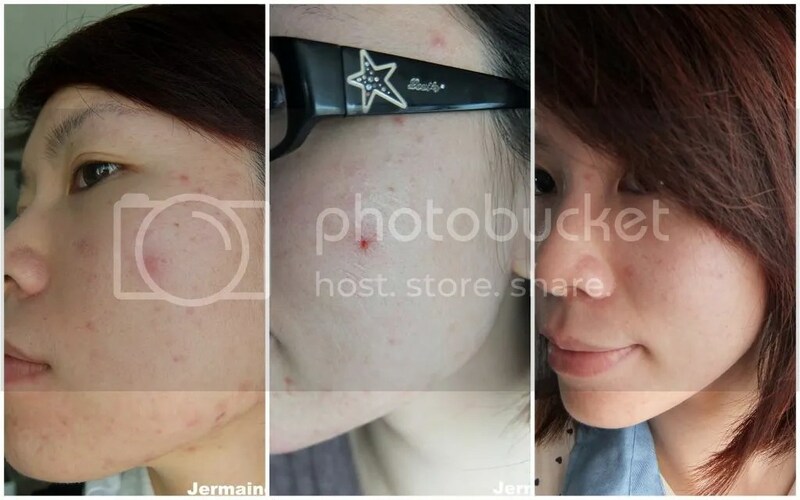 Told Dr Janice about it and she helped to administer some ‘shots’ on the area.. After that 1 session, those existing huge acne on the area started to clear off by the next few days.. Sound disgusting but some of it have already been pestering me for weeks and refused to go away.. By the third day, most of the inflammation have went away and it started to dry up. Right now, it has healed nicely and i have not experienced anymore breakouts on this area ever since the treatment.. I’m in awes as it only took 1 treatment to see such big improvements. After 4 sessions of the Theraclear Acne Therapy, the improvements has to be calmer skin, less redness, clearer and more even skin texture. After getting two more treatments done, the amount of oil secretion has reduced by at least 50% (at the end of the 4th session).. My skin doesn’t feels that greasy and heavy as before. Previously i was on Accutane (with many side effects) and the purpose of the medicine is to shrink the oil grands. But once i stopped it, the oil production level went back to normal and the breakouts came back. I’m glad to have found a safe alternative to reduce my oil secretion level! As you can see from all the comparison photos below. the amount of clogged pores and bumps on my face have reduced (especially on my jawline, cheeks, the sides of my face and underneath the jawline). Cupped with appropriate skincare routine, the therapy helps to control further breakouts and it helps to speed up on the recovery process of my acne / pimples. I’m still having breakouts (especially 1 week before my period) but condition is more controlled and it clears up faster. I guess the reduction in oil-secretion contributes to lesser clogged pores and breakouts! But because there’s reduction in oil secretion, my combination skin has become drier and to combat dryness, i have to use a more hydrating moisturizer. Overall, the Theraclear Acne Therapy is a straightforward treatment which brings no pain, no harshness and zero downtime. 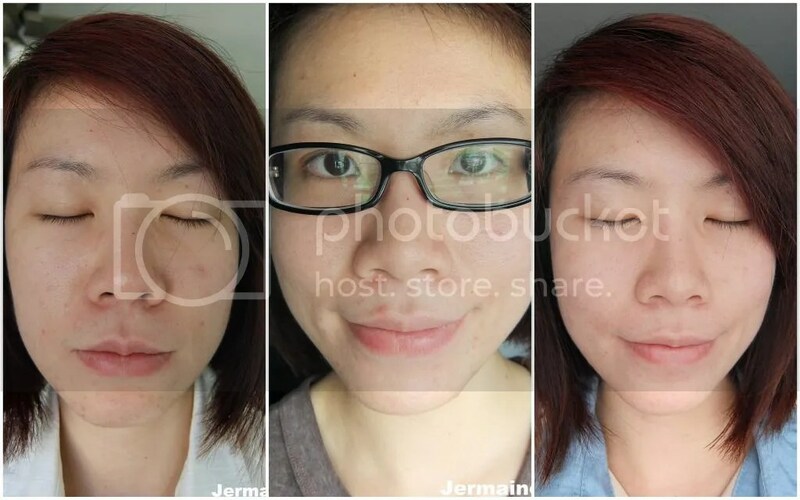 Safe on all skin types, i will highly recommend it if you need an effective treatment when you have stubborn acne and everything else don’t seems to work for you..
Theraclear Acne Therapy will cost about $150 per session and it can be done at Rafflesian Clinic & Surgery whereby 4-5 sessions will be recommended for most individuals. * Disclaimer: Theraclear Acne Therapy’s information is extracted from Theraclear’s website and results might vary among individuals. (Event) Welcoming the season of giving with The Body Shop School Project! Hi Shervon, Nope i did not. Can you call them to check out as i cannot remember? Sorry about that. Hi Jermaine, the charges is paid by per session or we need to pay full amount for the whole treatment?